Let’s face it, most of us can’t go a week without straightening our hair. I have frizzy and wavy hair, so not straightening my hair means that I’ll go a day looking like I got caught in a very humid tornado. I have found some products to help my hair stay in ultimate shape. But apart from products, it is super important to work with the right heating tools: tools that won’t be overly damaging and targets the frizzies without burning my hair. 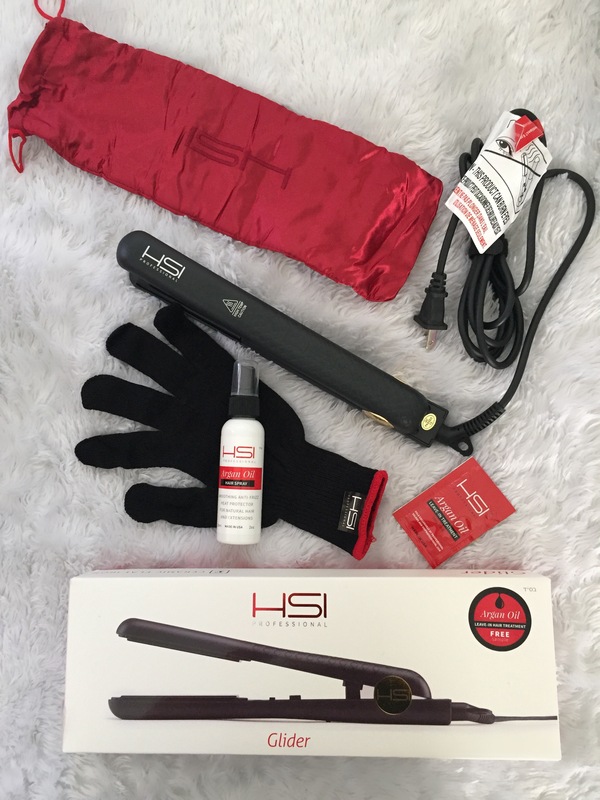 I was given the opportunity to try HSI Glider Ceramic Straightened and I’m hooked! Argan Oil hair spray to soothe frizz and protect hair from heat. 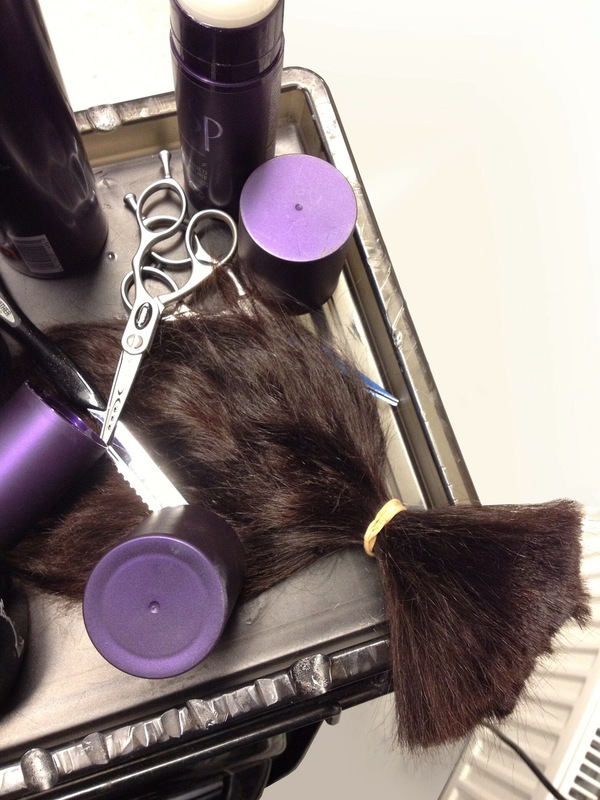 A single use Argan oil leave-in treatment. A cute storage bag for my straightener. When I first received the straightener, I couldn’t help but notice the detail and care for its design. It has a nice grippy design and gold logo detailing on both sides of the straightener. I liked that it has a very high heat setting, which I think is great for people with very curly or kinkier hair. The heat setting ranges from 140 to 450 degrees Fahrenheit. Regardless of your preferred heat setting, it actually takes only a few seconds for it to heat fully, which I loved as I tend to be very impatient with these things. As the straightener was heating, I decided to try their Argain Oil spray, and I was pretty impressed with how well it worked. When I first sprayed it, my hair was somewhat damped, which I believed set me up for disaster. Also, the spray isn’t oily, so I was concerned with how well it could work at controlling my frizz. My surprise came when I used the straightener: my hair was actually super smooth, silky, and didn’t feel burned (also, I didn’t feel extra wet as I anticipated). Usually, these types of products make my hair very dry, but it hasn’t been like this with HSI Argan Oil Spray. The heat protection glove is also a great bonus! It felt very little heat while using it (meaning that it could have been worse) so this item definitely comes in handy (I’m so looking forward to use it when blow drying my hair, as I tend to burn my hands with the blowing heat). If I could rate this product, I would give it a 9 out of 10. The straightener has a great design, the heat is varied and doesn’t burn my hair, and the Argan Oil spray did a marvelous job as setting my hair.